Best price new Volvo – get maximum discount on any brand new Volvo without having to shop around or negotiate yourself. 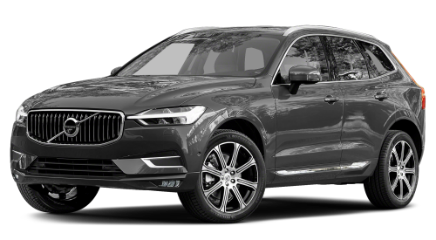 Be it the new Volvo XC90, XC60, XC40, V90, V60, V40, S90 or S60 – Any New Car will ensure you have the opportunity to buy your new Volvo at the absolute best price. Buying a new Volvo with the help of Any New Car means getting the best price, and the highest level of service without you having to get involved with salespeople. Yes. We’ll also ensure that you achieve the highest possible price for any car (or cars) you intend trading in as part of any new car purchase. That’s whether you are buying a new Volvo or any new car. Yes. Whether you’re a private buyer, a small company or you run a large fleet of vehicles, Any New Car guarantees you the best deal on any new Volvo model – or any new car. We’ve forged alliances with Australia’s leading Volvo dealers and Fleet Management Operations – this means you’ll enjoy the best price, and the highest level of service when pricing and buying a new Volvo with the help of Any New Car. Swedish carmaker, Volvo was founded in 1927 in the city of Gothenburg. Volvo is also famous for manufacturing trucks, buses, construction equipment, drive systems for marine and industrial applications, aerospace components – they also offer financial services. The Volvo company was born of a spin-off from the roller ball bearing maker SKF. In Latin, Volvo means “I roll”, which was conjugated from “volvere”. The Volvo name was initially registered in May 1911 as a separate company within SKF AB as a registered trademark with vision to be used for a special series of ball bearing. This idea was used only for a short time before SKF decided to use “SKF” as the trademark for all its bearing products. The Volvo ÖV 4 series was the first series produced – the first rolled out of the factory on 14 April 1927 – this date became the official founding date for Volvo. Renowned for safety and strength, the Volvo new car range of today continues to offer these same traits, as well as their now stunning lines and designs. Best price new Volvo? It all starts here. Any New Car is here to save you time and money buying a new Volvo through a Volvo dealer close to you. Have you decided on your new Volvo model? If so, Any New Car is ready to secure you the maximum discount on your chosen Volvo model. Our unmatched new car broker service ensures that you’ll get the lowest drive-away price on any new car.